Much to the shock and consternation of Utah conservatives who overwhelmingly gave Sen. Ted Cruz their votes in Utah's presidential caucus, the senator returned the favor by endorsing Utah's pro-illegal alien, sanctuary state governor, Gary Herbert, for re-election. During his time as governor, Herbert has consistently taken the side of illegal aliens and has continued to build up Utah's sanctuary state status. Utah provides illegal aliens with in-state tuition, a driving privilege card, and unlimited jobs through Herbert's Salt Lake Chamber of Commerce supporters. Herbert is a strong proponent of the pro-illegal alien Utah Compact and he not only signed Utah's illegal alien amnesty bill, HB116, into law with a senior Mormon Church official at his side, but has signed bills extending it twice — most recently on March 18, 2016. HB116 was largely written by the Salt Lake Chamber of Commerce and promises legal status to any illegal alien who has ever lived and worked in Utah, plus granting full amnesty to their employers. 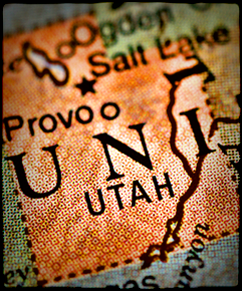 Although the Utah law violates federal immigration law and has not yet been implemented, it was passed in order to send a strong signal to illegal aliens that Utah offers them a welcoming environment and that they risk nothing by relocating to Utah. Herbert fully supports the Mormon Church's pro-illegal immigration efforts to make Utah a sanctuary state. The Mormon Church baptizes illegal aliens, gives males the Mormon priesthood, and allows illegal aliens to attend Mormon temples in spite of their illegal status and the fact that 75 percent of illegal aliens commit multiple felonies — forgery, Social Security fraud, child identity theft, perjury on I-9 forms, etc. in order to get jobs with Utah's illegal-alien-friendly employers. A senior Mormon Church official has said that President Obama's immigration plan matches LDS values. When asked why Cruz endorsed Herbert, Cruz supporters struggle to answer since a large majority of them oppose Herbert's re-election. The general consensus is that in order to lure Herbert away from Governor John Kasich, Herbert's first choice, Cruz, promised Herbert that he would endorse him in return for Herbert doing likewise. The deal was apparently cut without any consultation with Cruz's Utah organizers or with Utah Sen. Mike Lee. Cruz's endorsement of Herbert raises the question of exactly where Cruz stands on amnesty for illegal aliens and on sanctuary states given Utah's leadership in the amnesty movement and status as a sanctuary state. If Cruz opposes amnesty and sanctuary states, why would he endorse Utah Governor Gary Herbert?